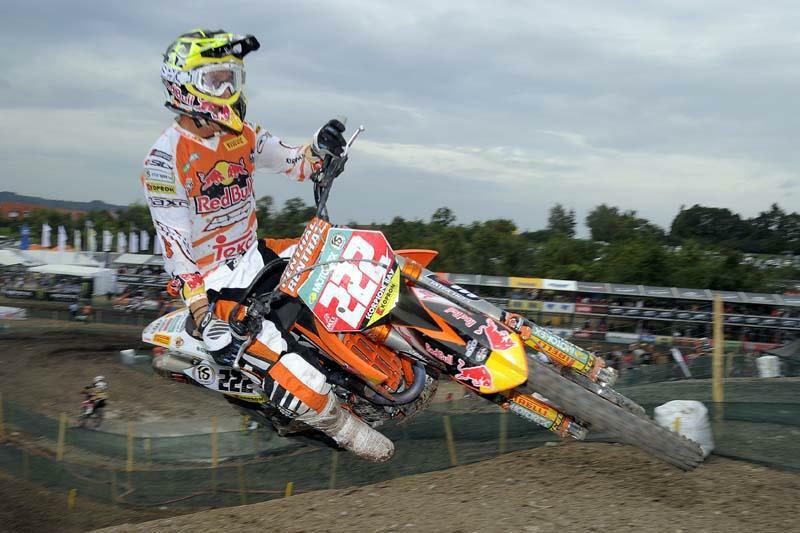 Antonio Cairoli yesterday claimed his third consecutive MX1 motocross world title. The reigning world champion took his radical Red Bull-sponsored KTM 350 to second place at the Germany round in Gaildorf claiming enough points to seal the crown. This takes the Italian’s total world championship tally to five (comprising three MX1 and two MX2 crowns) – equaling such motocross greats as Roger De Coster, Eric Geboers, Georges Jobe and Joel Smets. 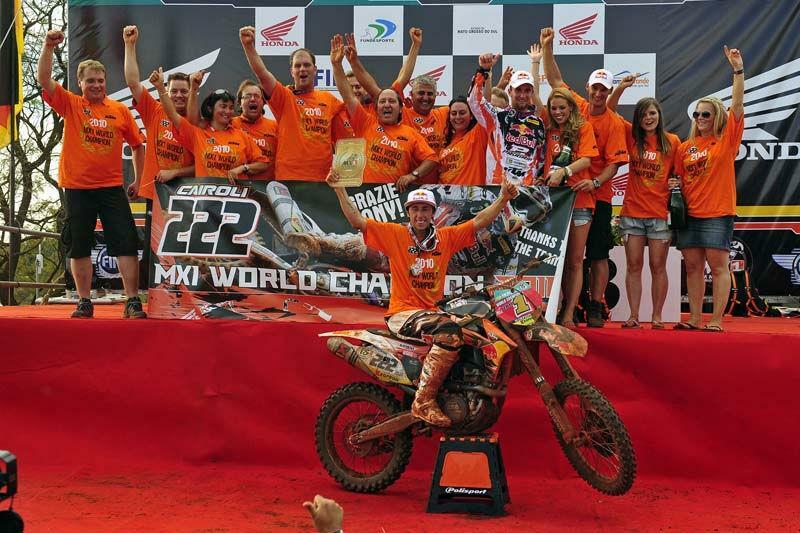 Fellow KTM rider Ken Roczen also claimed the MX2 world championship at the same event after dominating much of the season. The 17-year-old German has won eight of the 15 races on his 250 SX-F, with just the Italian round left.